As for the photo above…well, it’s just a beautiful, intimate shot of them. 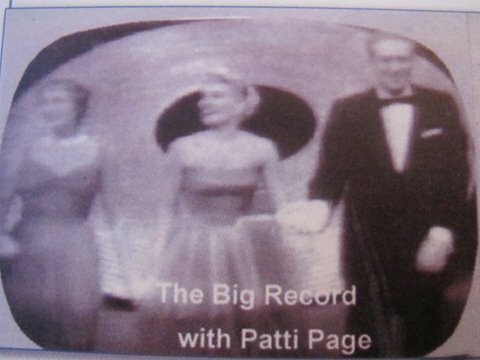 On September 25, 1957, Nelson and Jeanette performed on their second TV show together, “The Big Record.” Who knew that it would also be their last TV show together. They were in the midst of recording their “Favorites in Hi-Fi” album as well. On would have thought that their professional future together was taking off into the stratosphere again. What stopped their plans was Jeanette’s health, which finally landed her in the hospital in December of that year. 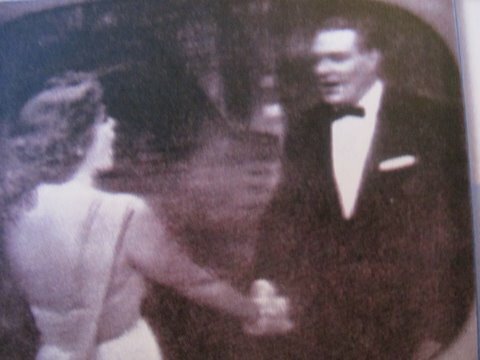 She was barely released when Isabel Eddy died. 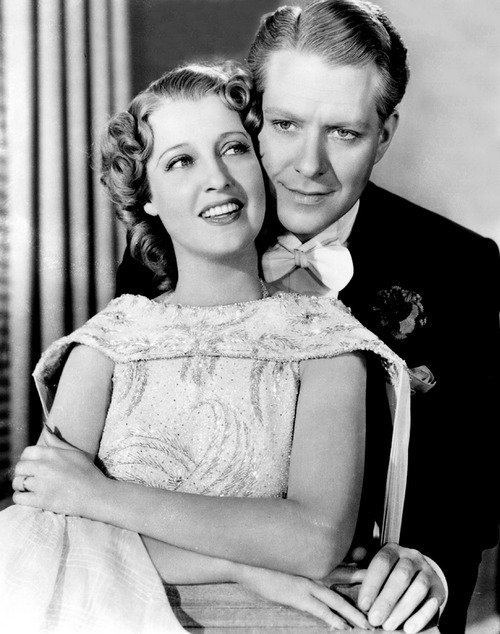 Between Nelson’s devastation over his mother and Jeanette struggling to recover her health, any plans for future work together were “temporarily” shelved. Jeanette did not even finish up her solo recordings for the “Favorites in Hi-Fi” till June 1958. 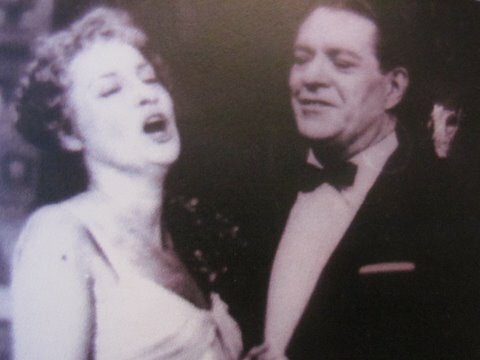 The following year she had one last professional performance on the stage in “Bitter Sweet” and then retired. We don’t have a video of this show but you can listen to the audio here. Listen: Alternate version of “Will You Remember” from first Maytime? Here’s an interesting alternate version of Nelson and Jeanette singing “Will You Remember” that we are assuming came from the first Maytime. The orchestration is completely different and with the addition of a mandolin as the prominent orchestral instrument. 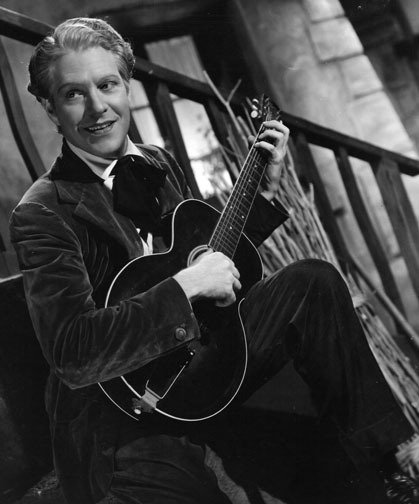 Above, we see a shot of Nelson with a guitar, also presumably from the original Maytime since this scene doesn’t exist in the version we know and love. But Nelson’s makeup and outfit looks more like the second Maytime so …who knows? Anyway, click on the link below to listen to this version of “Will You Remember” and let us know which version you like better by adding a Comment to this post. Enjoy!